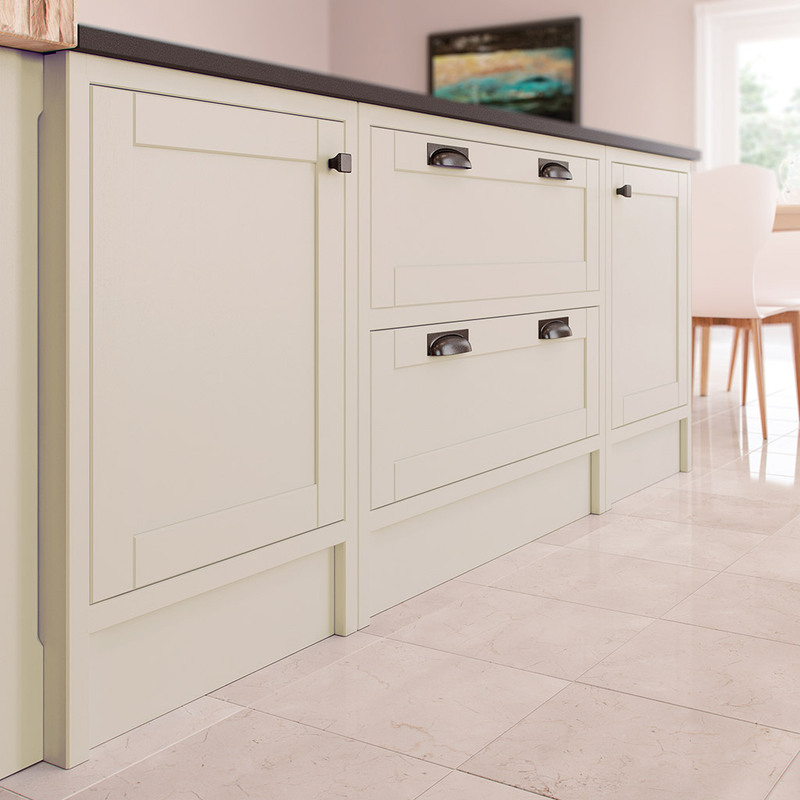 The painted island with its pastry bench at one end, provides a handy chopping area whilst featuring a large expanse of worktop which is perfect for food preparation. 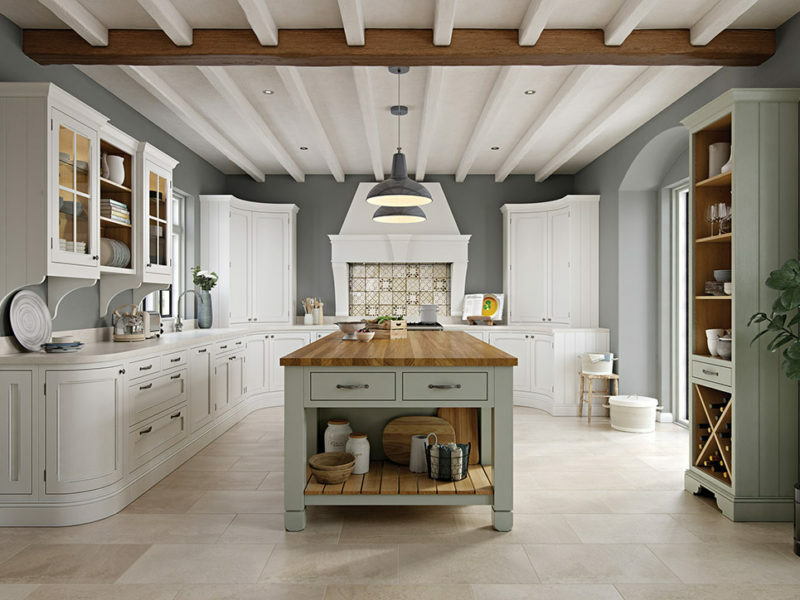 Floating shelves on the back wall inject a creative, as well as practical element and the overmantle with elongated large corbels showcases a unique design approach. 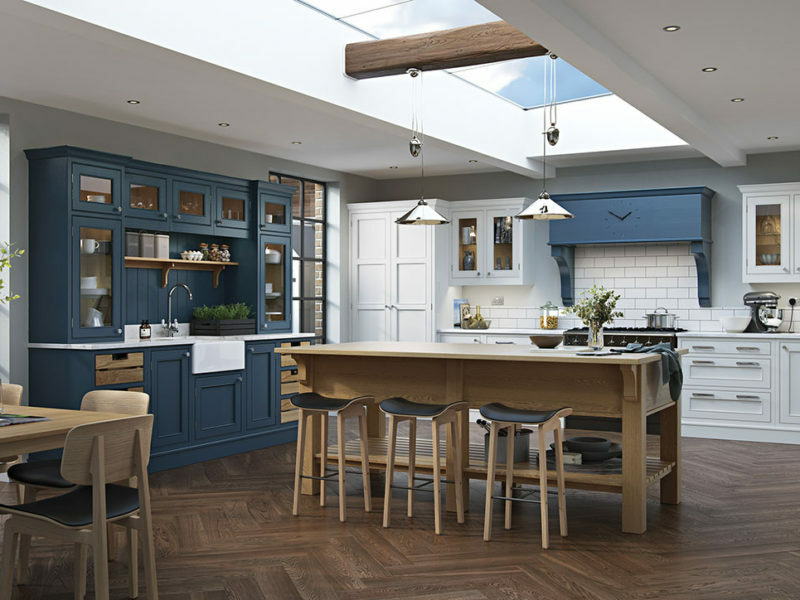 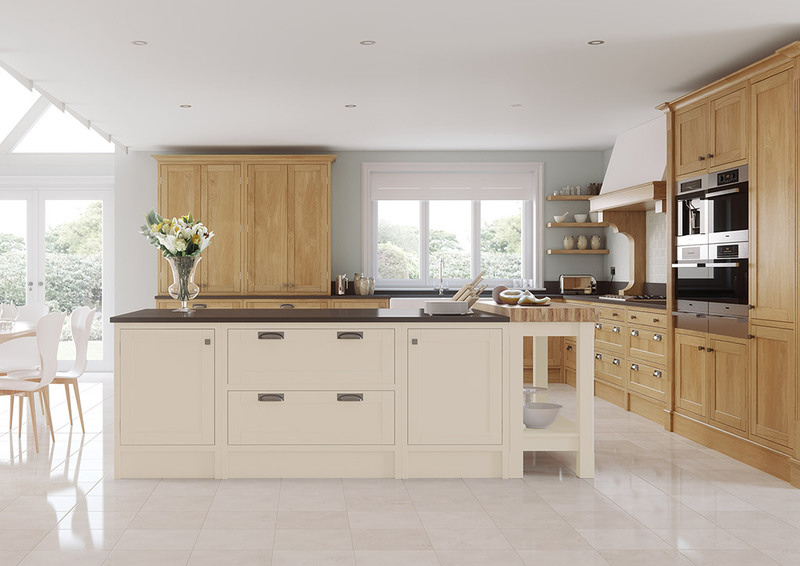 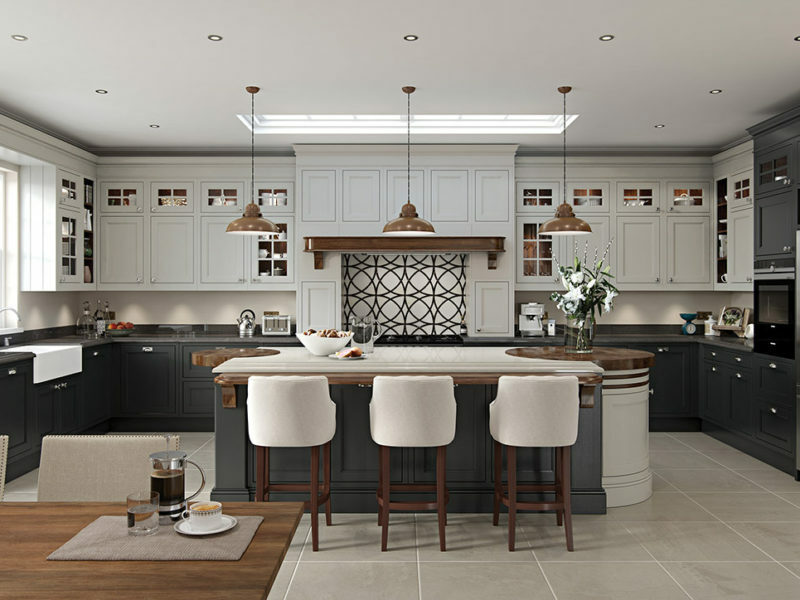 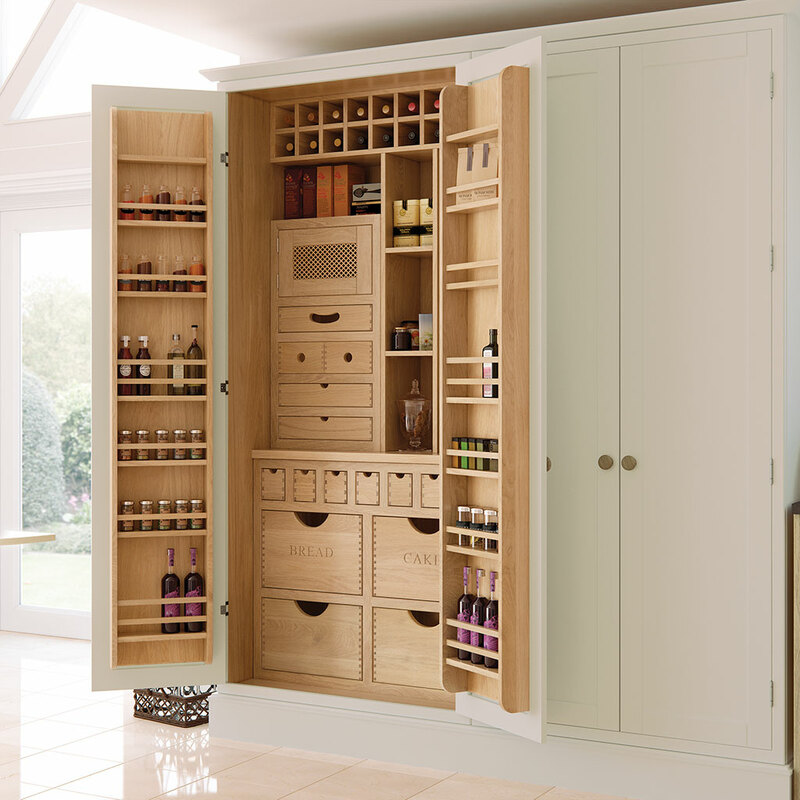 The kitchen shown here features Edmonton Painted White Cotton (island) and Edmonton White Oak (wan & base units, tallhousings, overmantle) with Oak internal accessories.